Google quietly pushed out an update to the iOS version of the Google Maps app that now checks for faster routes to a destination as you drive. 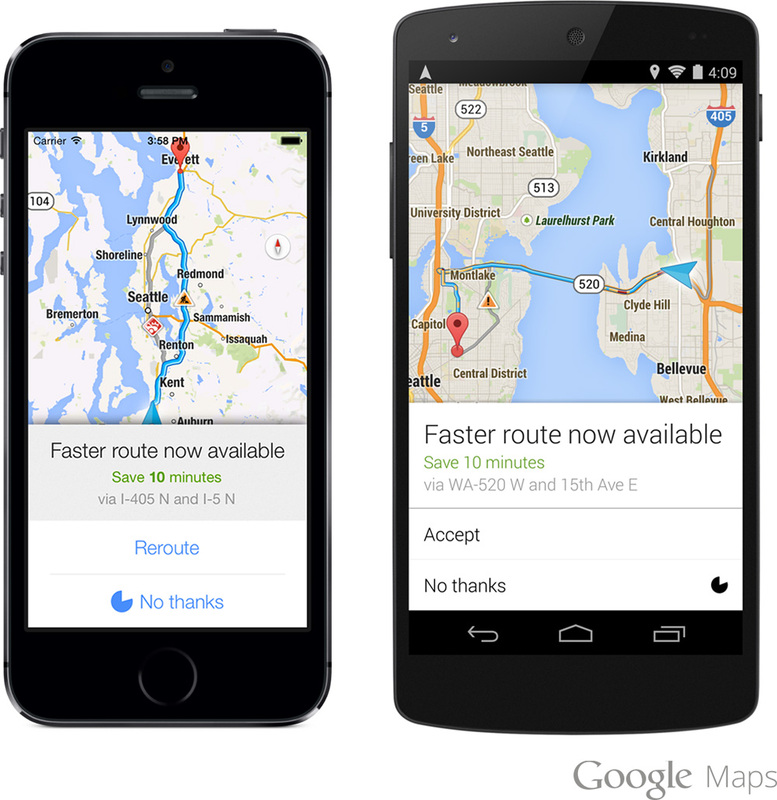 The new iOS version of the Google Maps app and the Android app will notify you if there’s a faster route available while you are in transit. This feature is available on both iPhone and Android where Google Maps navigation is available.